The White House has not yet been briefed on the findings of special counsel Robert Mueller's report, which was submitted to the attorney general on Friday and concluded a two-year investigation into President Donald Trump and Russia's interference in the 2016 election. "The next steps are up to Attorney General Barr, and we look forward to the process taking its course," White House Press Secretary Sarah Huckabee Sanders said on Twitter. "The White House has not received or been briefed on the special counsel's report." 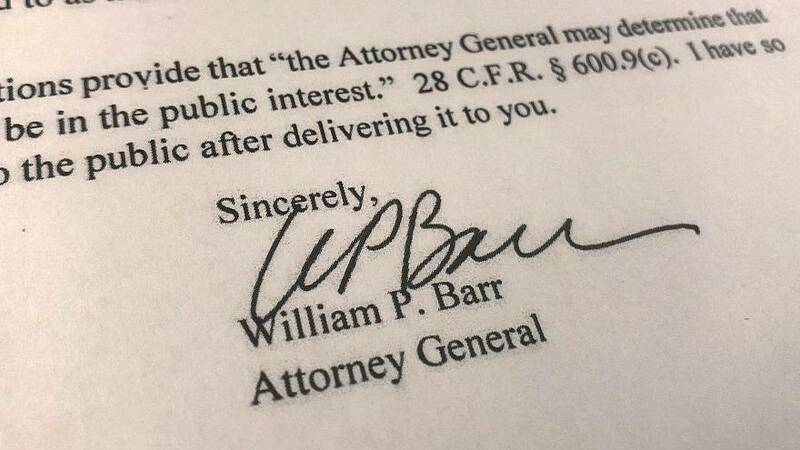 Barr also concluded in his letter that Mueller's investigation — relentlessly attacked as improper and a "witch hunt" by Trump — was conducted properly. Barr noted that he was required to inform congressional leader if Mueller had done anything "inappropriate or unwarranted." Trump travelled with Sanders and White House counsel, Pat Cipollone, earlier Friday for a fundraising event at his Mar-a-Lago resort in Palm Beach, Florida. Senator Lindsey Graham, R-S.C., the chairman of the Senate's judiciary committee, was scheduled to be the keynote speaker for the event. Trump's outside lawyers, Rudy Giuliani and Jay Sekulow, issued a statement saying: "We're pleased that the Office of Special Counsel has delivered its report to the Attorney General pursuant to the regulations. Attorney General Barr will determine the appropriate next steps." It was not immediately known if they would also be in Florida. To date, almost three dozen people and three companies have been criminally charged in the sprawling probe, including Trump's former national security adviser Michael Flynn; former campaign chairman Paul Manafort; former political adviser Roger Stone; former personal lawyer Michael Cohen; and numerous Russian nationals. There have been a number of guilty pleas and convictions — but none of the charges have directly accused anyone in Trump's orbit of conspiring with the Russian intelligence operation to help Trump get elected in 2016.